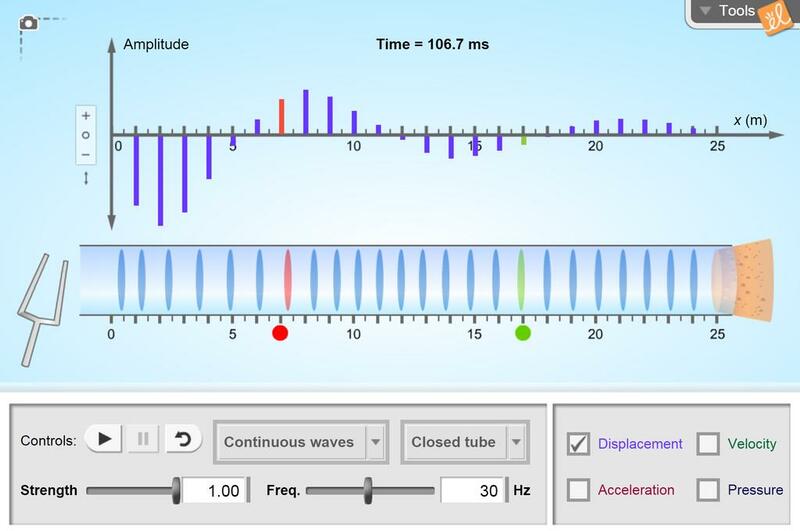 Observe the propagation of longitudinal (compression) waves in a closed or open tube with evenly-spaced dividers. The strength and frequency of the waves can be manipulated, or waves can be observed as individual pulses. Compare the movement of dividers to graphs of displacement, velocity, acceleration and pressure.